The North West of England is home to five Premier League football teams. 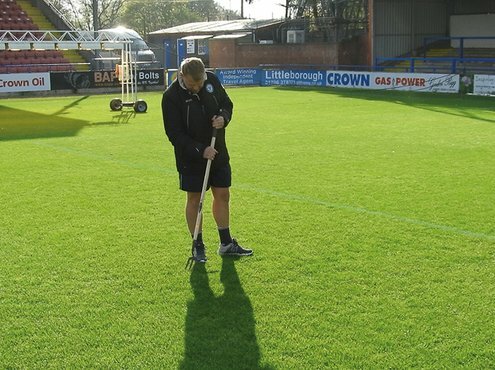 But what is life like for the region's lower league groundsmen who can only dream of the extensive budgets available to their lofty neighbours? 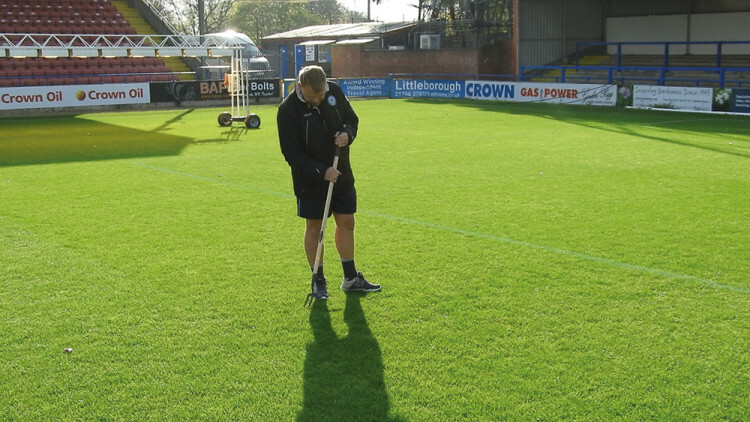 Lee Williams visits four such clubs to find out; in the last of the series, Lee chats to Niall Hazlehurst, Head Groundsman at Rochdale AFC. It's the middle of October 2018 and the sun is shining, which is rare for Rochdale at this time of year. The temperature is around thirteen degrees and Lee Williams, on his first assignment for Pitchcare, is at the Crown Oil Arena to meet up with Niall Hazlehurst who recently took up his first Head Groundsman position at Rochdale AFC. 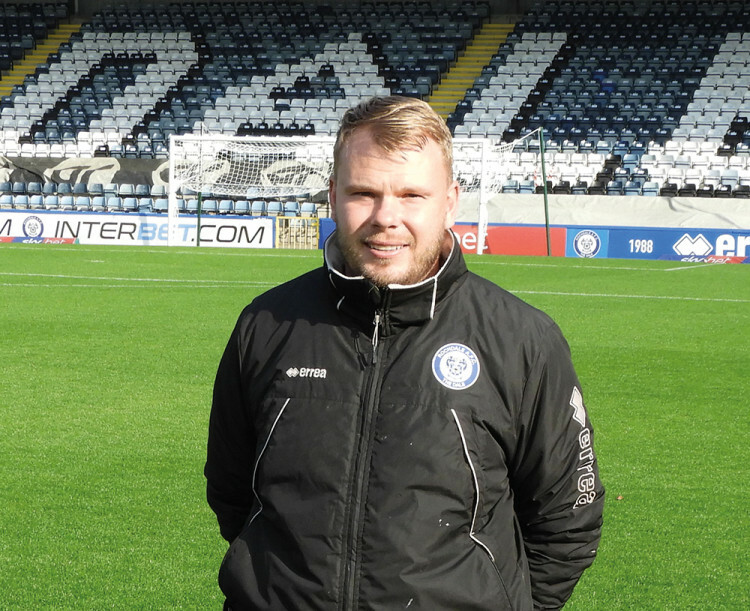 Niall takes me for a quick look around the facilities and the pitch before we sit down for a brew and a chat about how he first got into the industry and what led him to take up the challenge at Rochdale. into one. Then, roughly four years ago, I took over the running of the new training ground at Lostock which has one fibresand pitch, three sand/soil ameliorated pitches, three soil pitches and a large 3G pitch." 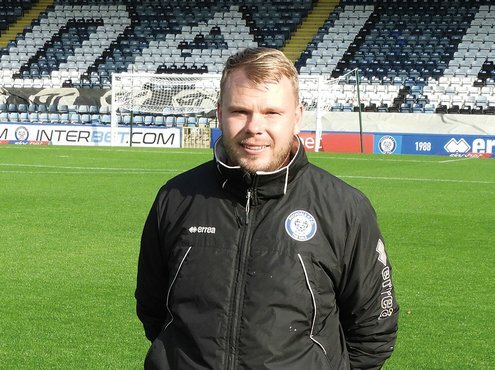 In September 2018, Niall made his recent move to Rochdale's Crown Oil Arena as Head Groundsman. I asked him how he ended up here. 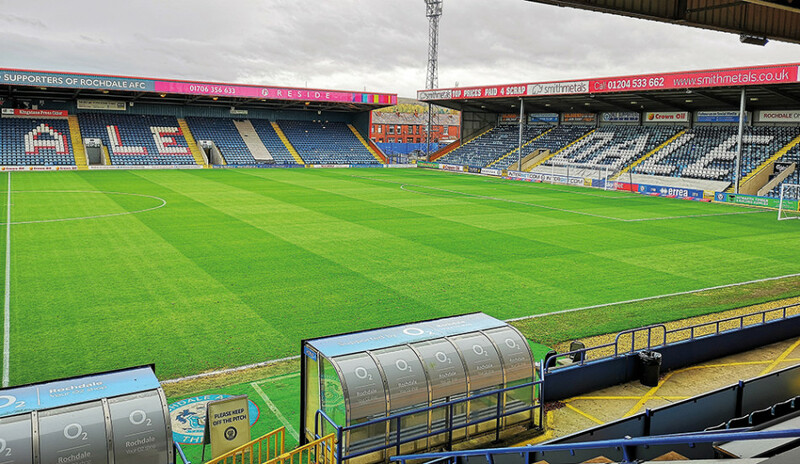 "A contractor was looking after the Spotland pitch over the summer and he found out from a mutual friend that I was looking to step up and make that next move in my career. They got in touch and asked if I would be interested in having a chat, so I met with Bill Goodwin - my boss and one of the club's director and, at the time, also acting CEO. We had an hour long conversation and, when we had sorted out the right package, it didn't take long for me to realise this was a great opportunity." "I am starting with a blank canvas really, so I'm looking forward to making my mark and showcasing what I can do - that's the aim of the game." "I didn't really know anything about the industry when I started at Myerscough College. I was going to complete a sports course but, one day, I spotted the sportsturf qualification so thought I would give it a whirl to see if I could get into it. Once I started, I was hooked. I looked up to people like Paul Burgess at Real Madrid and Jonathan Calderwood at PSG and I thought I would love to be in their position one day." Niall's current qualifications include NVQ Level 2 & 3 and spraying certificates PA1, 2 & 6. In his new role, Niall will have full responsibility for the budgets for all the grounds maintenance. "This will involve sitting down with Bill and going through past budgets and working out a budget for fertilisers, machines and equipment which will all be merged into one figure and down to me to manage." "This will cover the stadium, but we also have a minimal budget for the cricket ground where we look after two lacrosse pitches which have a basic irrigation system. We don't see ourselves being here long term, so the club doesn't want to spend a lot of money in those areas." 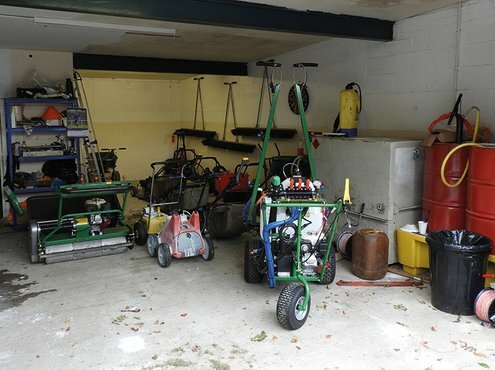 The club has recently gone through a lot of changes with groundstaff. "At this moment in time, it's just myself looking after everything, with the occasional help of part-time casual groundsman James Schofield. One person has just left and we are in the process of looking for an apprentice. I think I've found a new deputy head, providing salaries match up but, if not, we have some applications to look at and start the interview process." I asked if he had any help from contractors or agronomists, especially being short staffed at this present moment? "Yes, we have a contractor who is helping us out whilst we are short." Over the last eighteen months it has been well publicised that Rochdale has had some problems with the main pitch. I asked Niall if he thought these issues were now resolved and what the current structure of the pitch was. "We have a big problem with shade from the main stand which means that, as soon as the growing season ends and we enter into the dormant period, that side of the pitch doesn't see any sun until spring. Obviously, every club has the same problems but, with limited resources and limited grow lights, it's a real battle." What's the pitch like when it comes to drainage, especially with the heavy downpours and prolonged spells of rain we had experienced lately? "The pitch is currently draining really well. A few weeks ago, we had 45mm of rain over two or three days but, within an hour of the rain stopping, it was fine. This was a huge relief to me given the history of the pitch. 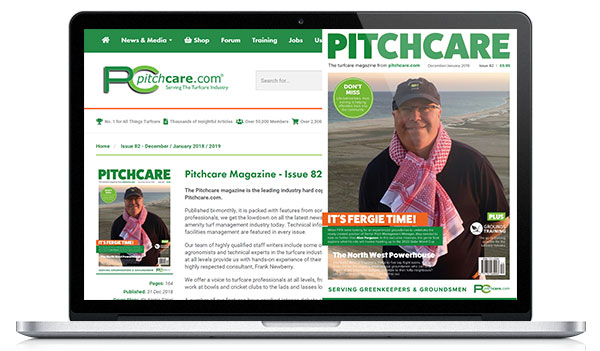 We have had problems in the past with aeration, so getting a programme together was the biggest key for this pitch." I noticed two SGL MU50s lighting rigs were being utilised under the main stand in the shaded area, but was keen to find out if they were also used in the goalmouths and warm up areas, and if Niall felt they will give him an advantage in keeping some grass cover going into the winter? "Those lighting rigs are a godsend and, as soon as a game finishes, we place them in the goalmouths. 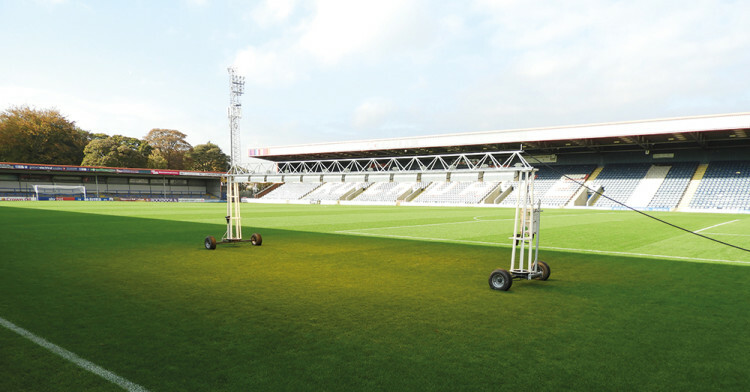 We do currently have them situated under the main stand as we are trying to work them up and down the wing to help give the surface the best chance through the winter." "We are also looking at getting two smaller ones as I feel the more we have, the better. but it's just having the budget to make the purchase." 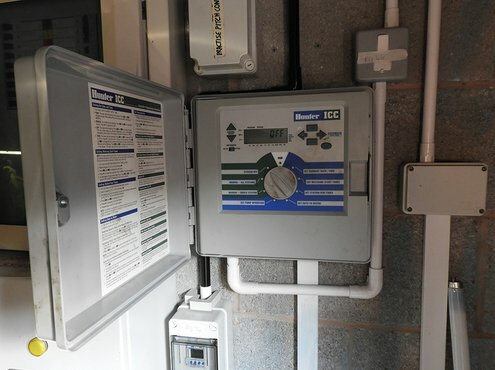 Rochdale (as with most places in the north) can see some heavy frost and snow in winter and I asked Niall what provisions he had in place to cope with these conditions; for example, undersoil heating, or does he have to work with frost covers? "We have no undersoil heating, but we do have Stuart Canvas frost covers on inflatable rollers. I'm yet to see a winter here in Rochdale so I will have to see how it goes … fingers crossed, the winter will be good to me." As well as football being played on the pitch, Niall also has to deal with the stresses of having Rochdale Hornets Rugby League Football Club using the Spotland pitch. The rugby league season has just ended so, for now, his main concern will be getting the pitch through winter. Niall explained his maintenance regime to achieve this. "Through summer, the height of cut was at 28mm. As soon as I started, my first thought was that it was a bit too long, so we went down to 25mm. I will lift it to 26mm at the end of the growing season though." "If we have football on Saturday and rugby on Sunday, we will just tidy up the pitch after the game and choose not to cut so, by the game on Sunday, the height is at around 28mm." "Since I started here, we have given it a weekly tidy up with the verti-cut cassette on the Dennis G860. We only have one unit, so it takes a little bit longer but does a great job. We also use that machine to cut the pitch on a regular basis." Walking into the groundsman's shed with Niall, I notice he has a stock of fertiliser in the corner. This prompted me to delve a bit deeper into whether he has a fertiliser programme in place for the pitch, what are the main diseases that affect the pitch, and does he like to use a preventative programme when it comes to disease, rather than be reactive? "Leaf spot has been the big one since I came in. We suffered really badly with it in the middle to end of September, but now it's been treated, it seems to be at bay with no visible signs. I used Instrata Turf Disease Control and followed that up with Instrata Elite a few days later just to make sure it was all wiped out and give it a clean bill of health. Going forward, we will have a disease programme in place which will be added to our fertiliser programme." I asked Niall about his fertilising regime in the coming months and does he have a set number of NPK he is looking at for the rest of the season? "We have had soil samples taken from the pitch, and we have drawn up a programme from those results. The tests came back with deficient levels of magnesium, but everything else was fine, to a certain extent. We put down a 3-month slow release 15:0:28 at 35g/m2 two weeks ago to keep it ticking over, followed by ProTurf 12-5-20 at 35g/m² two weeks later." 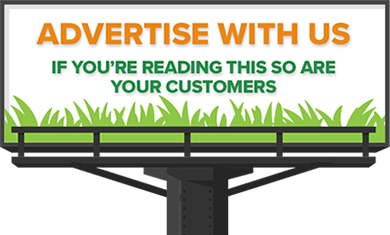 "We have recently purchased a Techneat pedestrian sprayer, so it will be easier to incorporate growth stimulants to try and help harden up the plant as much as we can given how wet it gets in Rochdale." "To help boost the magnesium levels and try and improve the colour, we have applied ICL STEP Hi-Mag at a rate of 11gm/m2 and I feel this has really improved the colour. Going into the new year, we will be using Greenmaster Pro-Lites (invigorator/Double K) to give it that kick and wake it up after Christmas." Niall is looking for the club to invest in some new machinery. "What I inherited is getting old or is in a state of disrepair, but I fully appreciate that things take time, and I can't expect the club to go out and get everything I require straight away. They are listening to me and my requirements, and they accept that this will need some investment in the near future." The purchase of the sprayer was an immediate request so that Niall could spray the pitch himself rather than rely on a contractor. This gives him much more control when it comes to timing. He has also presented the club with new machinery proposals which include a new tractor, a Toro ProCore and a Toro Reelmaster. With Niall having the new challenges of dual code sports, I was interested to know his plans for next year when it comes to the renovation of the surface. "We will get a six-week window to carry out all renovations when the rugby team will play elsewhere. With the carpet surface, it's about getting as much vegetation out, which will be achieved using the specially adapted rotary head on the Koro Field Top Maker. The contractor we used last summer has a much better understanding of the surface now and what will work. It will be a matter of seeing how clean we can get it, which will then determine how much sand it will require and the rate we seed at. We currently use Johnsons Premier Pitch, but we are not averse to changing this nearer the time to whatever is best suited." With the subject of dual-use on the pitch in mind, I went on to ask Niall, how he prepares for a doubleheader of football and rugby. "I experienced this on my second weekend here, when we were still in the growing season. We double cut on Thursday and Friday and cut once on Saturday morning which, looking back, we probably shouldn't have done considering the length required for the rugby, but we marked up for football." "When the football finished, we went straight out with the Dennis machines using the brush cassettes to tidy up the debris as this is quicker than the rotaries and does an effective job. We greened out the football lines, marked in the rugby lines and swapped the posts over. Then, on Sunday morning, we came in around 9.00am, put the pads on the posts, put the corner flags out and marked the dashes in. 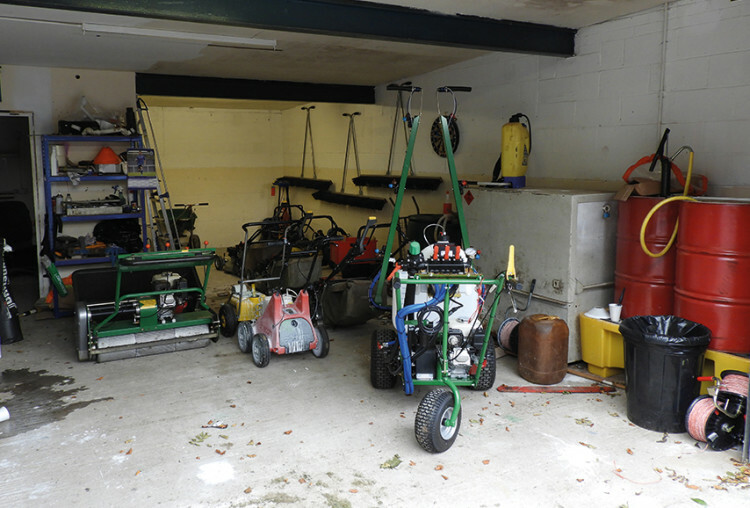 On Monday morning, we used the dragbrush to stand the sward back up, gave it a clean-up with the Lawnflite rotaries and, the rest of the week, we knocked the divots back. Then it was just a matter of letting the pitch recover without putting too much stress on it." The club currently has two training bases; the local cricket club (as previously mentioned) where there are two pitches, and they also train on a fibresand pitch at the University of Manchester's Platt Lane site, which was formerly Manchester City's Academy. The club is looking to invest in their own bespoke facility, which will enable the first team and youth team to train on one site, which can only mean exciting times for Niall and the club in the near future. "Involvement in this project is what helped attract me to move to Rochdale and take on a new challenge. The club has a realistic view of what they want to achieve, and it will be great to be a part of that. It will also be so nice to have a training ground we can call our own." Since taking the step up, Niall has leaned on the advice of people around him who he trusts in the industry. He gave a special mentioned to Chris Simm, Head Groundsman at Bolton Wanderers who was his old boss and taught him a lot during his time there. Niall also seeks advice from a former head groundsman who knows the pitch like the back of his hand from his past work there. At the same time, he has his own way of doing things but, as he says "it's always good to get a different opinion". Niall believes our industry is in a healthy place at present and feels it's good to see some young faces picking up some key positions. However, he strongly feels groundsmen and greenkeepers are being undervalued, under-rated and are not being listened to. "I feel lucky that Rochdale are listening to what I say and are implementing changes from my suggestions, but I'm not sure all venues are the same. I like to attend industry shows and seminars to try and find out what's going on, what's coming out and what's new. 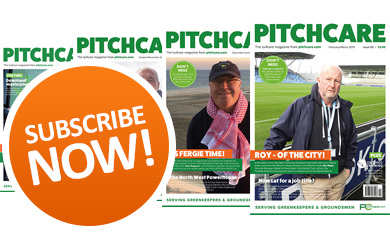 This also gives new and better ideas on how I can improve the pitches and allows me to network with other groundsmen and meet new people to share thoughts." At this point, my brew had got cold as we had been too busy talking. I took this as my cue to leave. Rochdale Association Football Club is a professional football club based in the town of Rochdale, Greater Manchester. The club currently competes in League 1, the third tier of the English Football League system. Nicknamed "the Dale," the club was founded in 1907, moved to its current stadium, Spotland stadium, in 1920 and was accepted into the Football League in 1921. Since then, the club has remained in the third and fourth tiers of English football. The stadium is known locally as Spotland, but is currently called the Crown Oil Arena for sponsorship reasons. It has a capacity of 10,249. The stadium was officially opened in 1920 and, for the first sixty-eight years of its existence, was used exclusively by Rochdale FC. Between 1988 and 2016, the ground was jointly owned by the football club, Rochdale Council and Rochdale Hornets, the rugby football league association. In 2016, Rochdale AFC bought the stadium shares they did not hold to own 100% of Spotland Stadium. At the same time, the stadium received its new sponsored name - The Crown Oil Arena - because of a sponsorship agreement between Rochdale AFC and its first stadium sponsor.